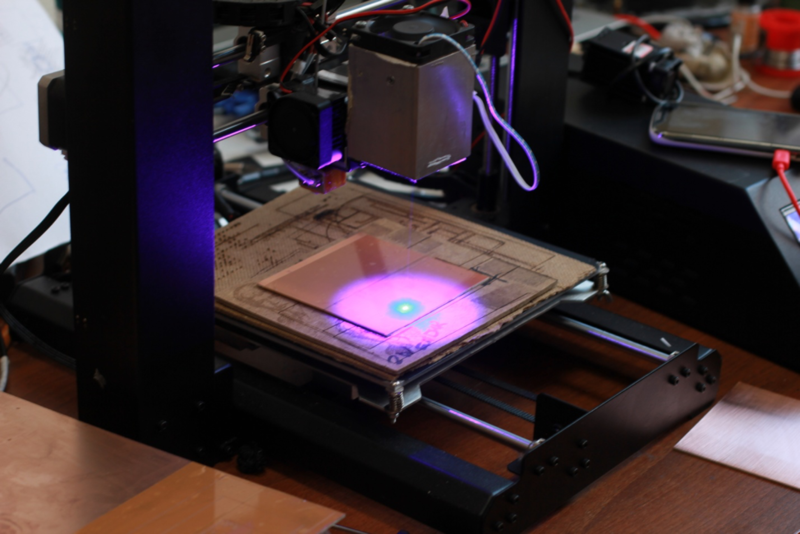 3D-printers have opened endless possibilities for home production and rapid prototyping. You can easily create practically any model in a 3D-program and 3D print it. But until now, only a few people thought about the possibility to 3D print electronics for particular solutions (model). Until recently, in order to make a circuit board for a prototype, you had to make it using a soldering iron, or order a short production run. However, many of us can make it using a conventional iron and a laser printer. I love hacking – i.e. modifying everyday items you already have at home or that can be purchased easily. And my daughter loves air hockey! 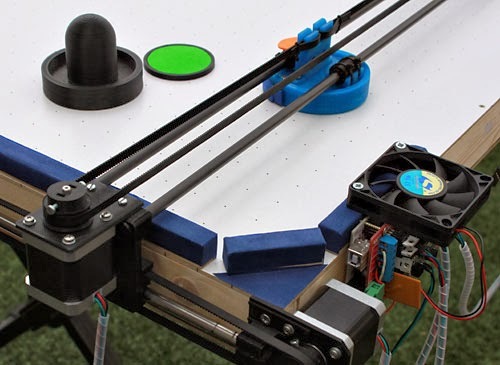 This fun project combines standard RepRap 3D printer parts (NEMA17 stepper motors, drivers, Arduino Mega, RAMPS, belts, bearings, rods, printed pieces ) with video detection and motor control to make an air hockey robot that you can play against.